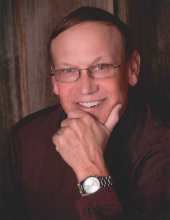 Al Decker, 66 of Butler, Missouri died peacefully in his home February 2, 2019. Memorial Services will be 11:00 AM Tuesday, February 5, 2019 at the Ohio Street Church in Butler, with Pastor David Fitzmaurice officiating. Visitation will be prior to services from 10-11 AM at the church. Memorial contributions are suggested to the Ohio Street Church. Messages and memories for the family may be left at www.mullinaxfuneralhome.com. “Al” (Alfred Lee) Decker was a gentle and quiet man of great character and integrity who filled his life with things he loved. He was also a man of many talents and great wisdom who tackled many projects with contemplation and ingenuity. He could fix, repair, or build most anything. He had a great interest in farming, especially beef cattle and continuously increasing his knowledge which served him well during his 40 years with the University of Missouri. In Columbia he worked as a bull test station and farm supervisor and followed that with 24 years in Butler as an Extension Ag Specialist. He enjoyed helping farmers be more productive, especially with grazing rotation and stewardship of the land. Al and his wife Pat raised two beautiful daughters, Amber and Ashley. As a family they enjoyed camping, wienie roasts, nature walks, Sunday drives, showing steers at the fair, softball and playing checkers. Later in life Al really found joy in his woodworking projects, helping Pat with flower gardening, visiting state parks in the RV, and bird watching. Daily long walks were an important part of his life: his time to think and be with God. The Bethany House and Cottage were just two significant “projects” for Al and Pat in ministry and service to the community the past ten years. Grandsons were the highlight of his life. He handled countless rocks to be pitched in the water, attended numerous ball games, and enjoyed time behind the wheel with all three. Al was blessed in the last year to take a family trip with both daughters and all grandsons to Grand Cayman and then a memory filled trip with Pat to Ireland. He was preceded in death by his parents, Fred and Betty Decker; he is survived by his wife of 45 years, Pat; two daughters, Amber with grandsons Reece and Jett and Ashley with grandson Miles; two brothers, Cliff and Steve; and three sisters, Beverly, Patsy, and Norine. A host of cousins, nieces, nephews, co-workers and friends who will also mourn the loss of such a beloved man. To send flowers or a remembrance gift to the family of Al Decker, please visit our Tribute Store. "Email Address" would like to share the life celebration of Al Decker. Click on the "link" to go to share a favorite memory or leave a condolence message for the family.